by Carol R Kneisl, Eileen Trigoboff, R.N. Very Good+ with no dust jacket. 0132557770. Cocked, rubbing, brief bumps, faint toning. ; 3Rd Edition; 4to 11"-13" tall; 848 pages. Good. 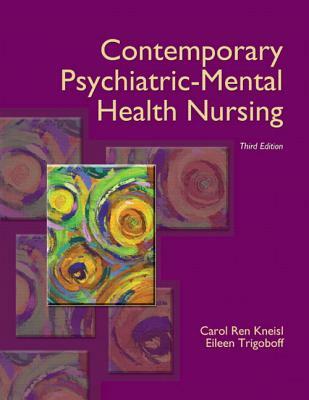 0133581608 US Edition Textbook, May Have Highlights, Notes and/or Underlining, BOOK ONLY-NO ACCESS CODE, NO CD, Ships with Emailed Tracking from USA.